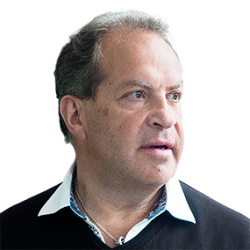 9 a.m. – 9:50 a.m.
Having started his own business in 1983 and becoming one of the youngest CEO’s at the age of 26, Nigel quickly realised that running organisations was not that complicated but working with people and getting the most out of them was the challenge. He did an IPO and having venture capital in his business it occurred to him that understanding people’s personal needs and their communication styles was paramount to their success. He started working with The Academy for Chief Executives in 1997 and quickly became a sought- after speaker working in many different industries but specialising in peak performance and human development. In 2001 and 2010 he was awarded Speaker of the Year from The Academy for Chief Executives. In 2005 he was awarded Vistage International Speaker of the Year. In 2009/10 Footdown awarded him Speaker of the Year. Thus making him the only speaker in Europe to have won all three awards. Having spoken to more than 1.5 million people worldwide (40 Countries) he has recognised that most people fall into four categories in communication. Whilst there have been many other models used his method of zoo keeping different animals is now used not only in Police Forces around the Country but also many National Health Trusts. He is currently working on introducing four new animals to the Zoo! Nigel currently speaks approximately 100 times a year. His main philosophy is that there is no such thing as difficult customers and staff – there are different customers and staff. Vitasek has been featured on Bloomberg, CNN International, NPR, and Fox Business News. She is contributor for Forbes as their leading authority on the art, science and practice of highly collaborative relationships. Vitasek has been featured in over 300 articles in publications like Chief Executive Magazine, CIO Magazine, The Wall Street Journal, Journal of Commerce, World Trade Magazine and Outsource Magazine. 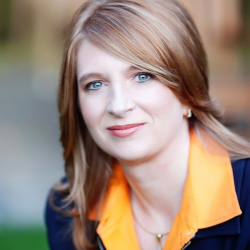 Passionate in her quest to help companies transform their business relationships, Vitasek inspires and motivates business leaders with five proven “rules” for achieving transformational results. Following the Vested mindset and methodology shifts a relationship from a “What’s in it for Me” to a “What’s in it for We” foundation and outcome based business model. Skeptics walk away believers when Vitasek shares powerful, real-world examples of companies (big and small) that have achieved transformational results by adopting a Vested mindset and business model for highly-collaborate, win-win relationships. James is recognised as one of the leading thought leaders on the future of the real estate market. 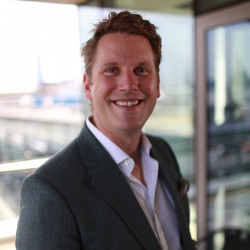 His role as the Co-Founder of Unissu ,the global leader of PropTech data, information and resources, means he has an unrivalled perspective on global PropTech trends. As a result, he is a much sought-after speaker on the future of the property industry both in terms of how people and companies in the sector should adapt to facilitate change. Session Description: PropTech has had a huge impact on the property world and it seems to be growing in importance almost daily. James will give you a complete overview of the sector and challenge you to think about your own futures and whether there is an actual career in Facilities Management moving forward. It promises to be a contentious speech but will help you shape the future of the industry at the very least. 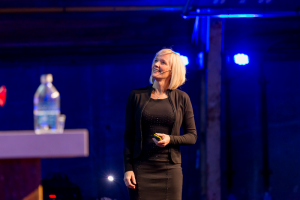 Nancy Rademaker is one of the very few female international keynote speakers to cover the impact of digitization on customer behaviour and how that affects the way companies should interact with customers. She likes to share her first-hand experiences straight from the places where technology is shaping our future. 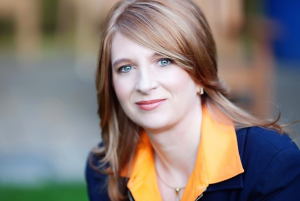 In 2016 she joined nexxworks as a partner. 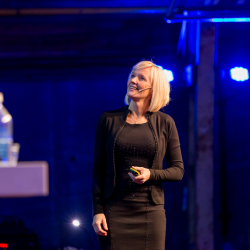 Together with Peter Hinssen, Steven Van Belleghem and Rik Vera, she inspires companies how to act upon The Day After Tomorrow. Nancy travels the world taking business leaders to innovation hubs like Silicon Valley, Shanghai, Shenzhen, Berlin,… using that first-hand inspiration as a continuous and valuable source, thus keeping the keynote content and examples on the cutting edge of the latest technologies, developments and disruptive new business models.